Mid-State Conference athletes had to wait on the weather for two additional days to decide the annual conference track & field championships, but were blessed with a beautiful day at O’Neill Monday. The Boone Central/Newman Grove Cardinals took advantage of the perfect conditions with some of their best results of the 2016 season. The Cards were led by senior Sheldon Beierman, who exited Mid-State competition in shining fashion – gold medals in the 100 meter and 300 meter hurdles and high jump. 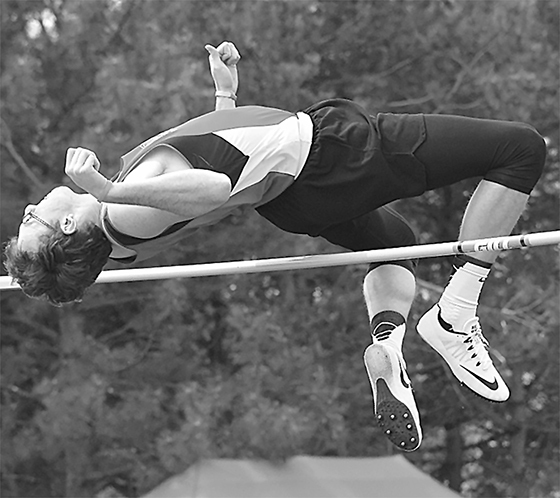 BC/NG had three additional athletes crowned event champions – Celine Dunlap in the pole vault, Kyle Kramer in the high jump and Damian Backus in the long jump. “We had a great day of weather and some really good performances,” said BC/NG Coach Kris Pestel. “The Mid-State Conference meet is always extremely competitive and, as a group, we performed well. “The girls were able to finish as runners-up, had 10 season bests and won four events. The boys finished fourth in the team standings, had 11 season bests and were able to win two events.